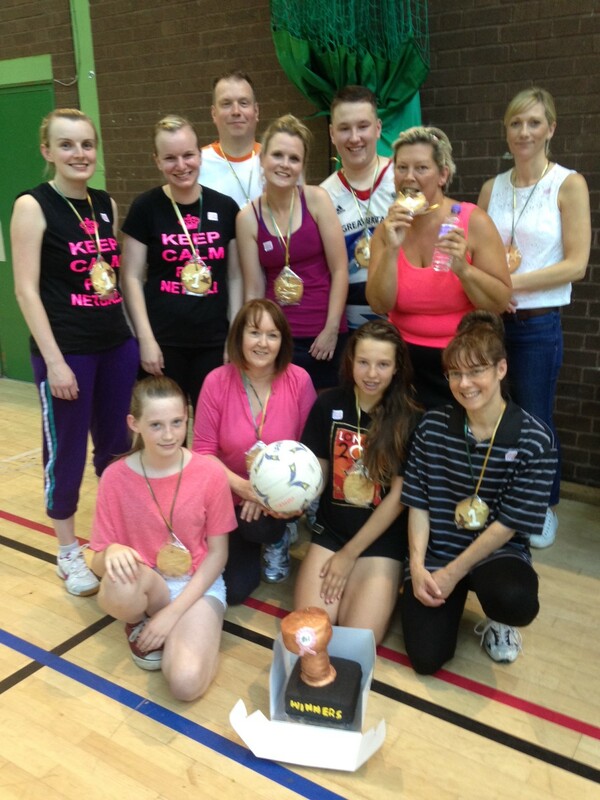 On Sunday, August 3rd Grasshoppers Netball Club hosted their second Family Fun Netball Tournament raising over £187 for Breast Cancer Care. More than 50 players took part including junior and senior club members and their parents, siblings and friends, each wearing something pink. Everyone participated with great enthusiasm in a round-robin tournament with the Red team victorious and presented with their cookie medals! This was followed by two much-anticipated and highly contested games between the men and the Hoppers girls and followed by a family barbeque. A fantastic afternoon and evening was had by all! Our thanks go to Sandwell Leisure Trust who donated the use of Haden Hill Leisure Centre for the netball and to Old Hill Cricket Club who hosted the barbeque at a reduced cost.